Welcome to Stairway to the Stars! Stairway to the Stars has been offering dance and tumbling instruction in Washington, Iowa since 1993. Our program is designed to motivate and inspire young people to be the best that they can be in every aspect of their lives. Our age-appropriate curriculum affords students the opportunity to have fun and enjoy the learning process. They will develop skills for good health and fitness that they will carry with them forever. Many life-long friends will be made at dance class - for the students and the parents! Stairway to the Stars is committed to providing quality dance and tumbling classes to enhance the overall development of the child. 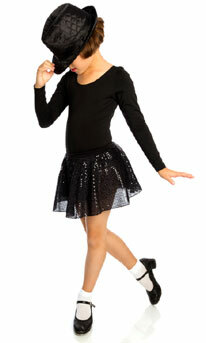 We believe that children gain enormous benefits from proper dance training, whether or not a dance career is the goal. Students are involved in a safe, enriched, child-centered environment that provides them the opportunity to explore dance with a qualified, nurturing staff. We encourage our students to develop a positive self-image. When children feel good about themselves they are free to learn and grow. Why lessons at Stairway to the Stars? Stairway to the Stars offers children the experience they need to become successful learners, while experiencing the wonderful world of dance. Enhanced concentration, coordination and discipline are just a few of the skills learned at Stairway to the Stars that will help foster a healthy mind and body. We make the dance experience stress-free for parents too with a clear, consistent schedule and a website, newsletters and office staff to keep you informed. We take care of everything from start to finish including shoe fitting and ordering! We are conveniently located in downtown Washington with four studios within our facility. This enables us to keep our regular schedule of classes within the week - keeping weekends free for family time. Our office is staffed Monday - Thursday from 4:00-9:00PM. Our office number is 319-653-5648.